Beijing can be an intimidating place when visiting for the first time. I remember taking the train there for the first time and being absolutely terrified by the sheer size of it and the complete culture shock. But another side of me absolutely loved it. Funnily enough, I ended up living there for a while years later. I’ve decided to put this together in the hope of helping you plan your trip to the Chinese capital for the first time. Hopefully it makes it a little less daunting. 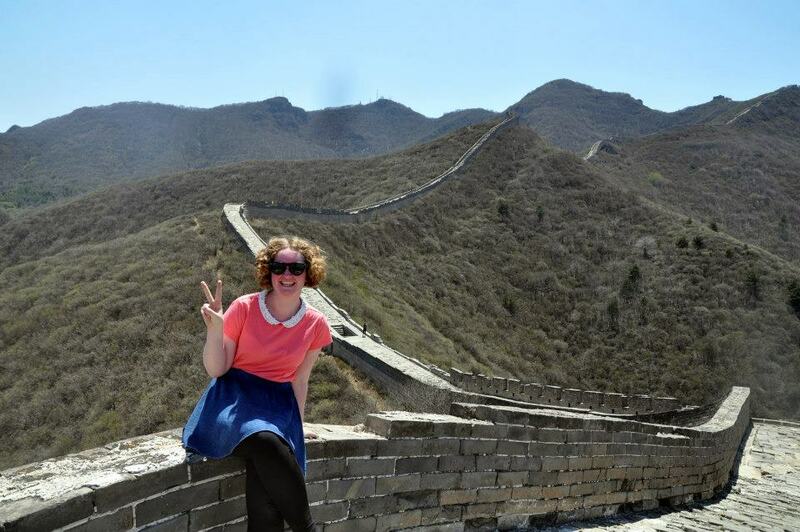 Let’s face it, when people travel to China, the Great Wall is on the top of their bucket lists. The most convenient way to see it is from Beijing. You can either take a train and then a bus or consider taking a tour. While i’m not a big fan of tours, I did take an excellent one with Leo’s Hostel. It takes you to a more secluded part of the wall which is great for getting photos without people. I always recommend the tour when people ask me about getting to the wall. 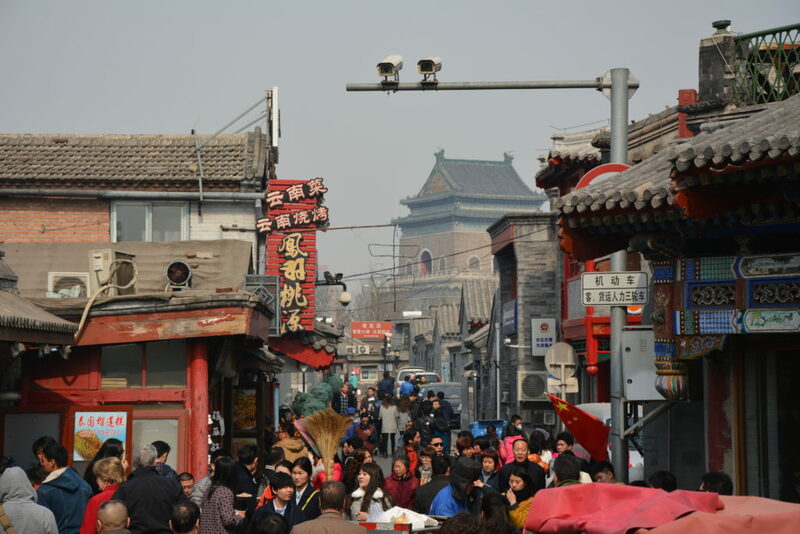 Hutongs are narrow alleys or small streets between rows of single storey houses. 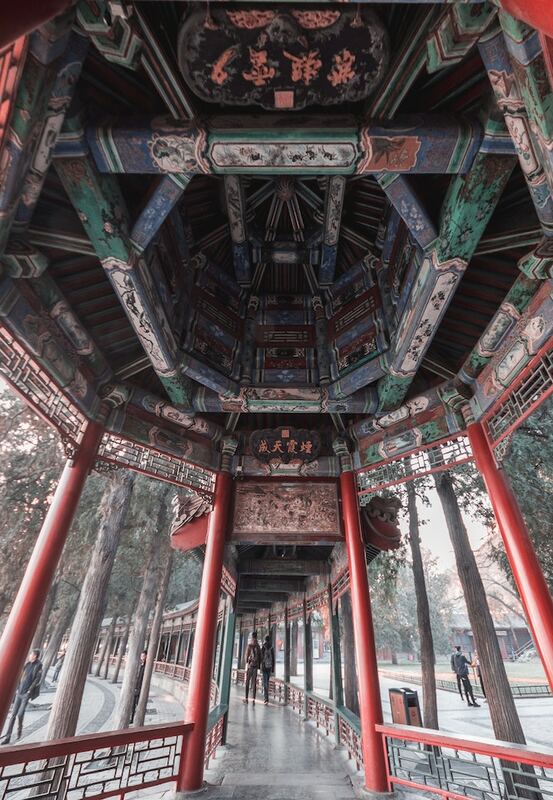 Visiting them helps give you an insight into old Beijing and what it might have looked like. Nanluguoxiang is one of the most popular Hutongs and has some great cafes and bars. It was built around 1271. Be sure to wander around Houhai lake. In winter it freezes over and becomes a skating rink while in summer, people actually swim in it. At night when all of the tourists leave, it becomes one of the most peaceful parts of the city. It’s also very close to the Bell and Drum towers and a road completely devoted to vintage clothes shops! Two of the most famous landmarks in Beijing are luckily across the road from each other which is perfect when planning a day of sightseeing. Tiananmen Square is big and most likely there will be soldiers and police everywhere. Nevertheless, it’s a good place to people watch. There is a flag raising ceremony at dawn and dusk. 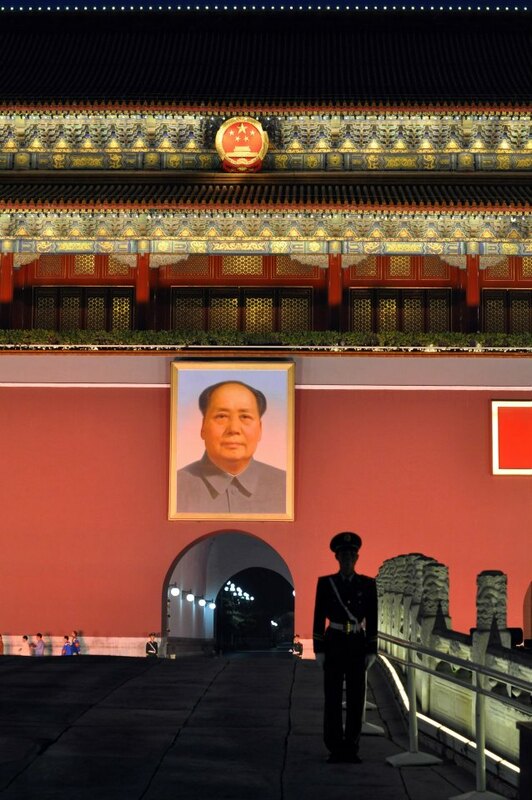 The square is also home to Mao’s mausoleum which is worth a visit as long as you’re not too squeamish. The Forbidden City is the world’s largest imperial palace. It’s hard to understand the size of it until you’ve walked all the way around it! It has lots to see from the temples themselves to artefacts belonging to 24 of China’s emperors. The Imperial Garden is well worth a visit too. It has over 7,000 sq feet of rockeries, pavilions and walkways. When in Beijing, you have to eat Beijing Duck. I’ll be honest, i’m not a massive fan of duck however when it’s cooked in the traditional style with pancakes, it is absolutely delicious. My favourite spot for it is in Qianmen in a very old traditional shop that plays Beijing Opera. I’m not even sure it has a name but is very close to Leo’s Hostel. Quanqude is also highly recommended. It’s the place where foreign dignitaries are taken for the famous meal. It’s also in Qianmen. Here’s the address in Chinese just in case you need it: 全聚德烤鸭店, 西城区前门西大街14号楼. We all remember the Beijing Olympics opening ceremony with the large drums and big displays. Now you can go inside the Bird’s Nest stadium and see what it would have been like during the games. 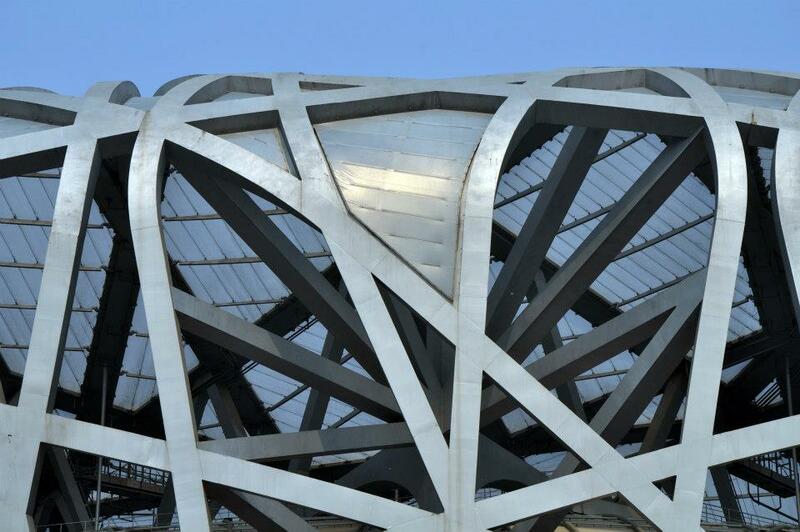 The Bird’s Nest is also going to play a big part in the 2022 Winter Olympics. If you are lucky, you might be able to take a Segway around the racing track. Tickets also include admission into the aquatics centre, also known as the Water Cube. 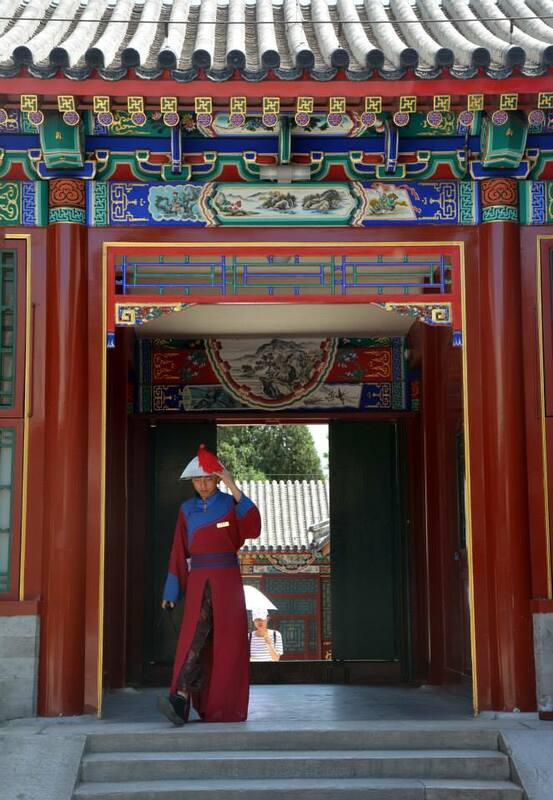 The Summer Palace is a bit of a trek from the centre of Beijing but it’s well worth it. In all honesty, I think I prefer the Summer Palace to the Forbidden City. 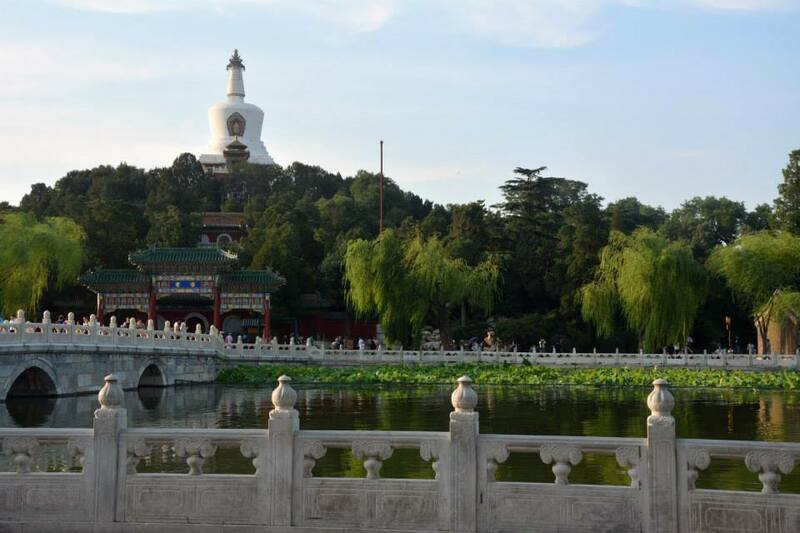 There are acres and acres of land to explore at the Summer Palace and it feels so peaceful. Make sure you give yourself a full day to explore it as the walk around Kunming Lake is very long! 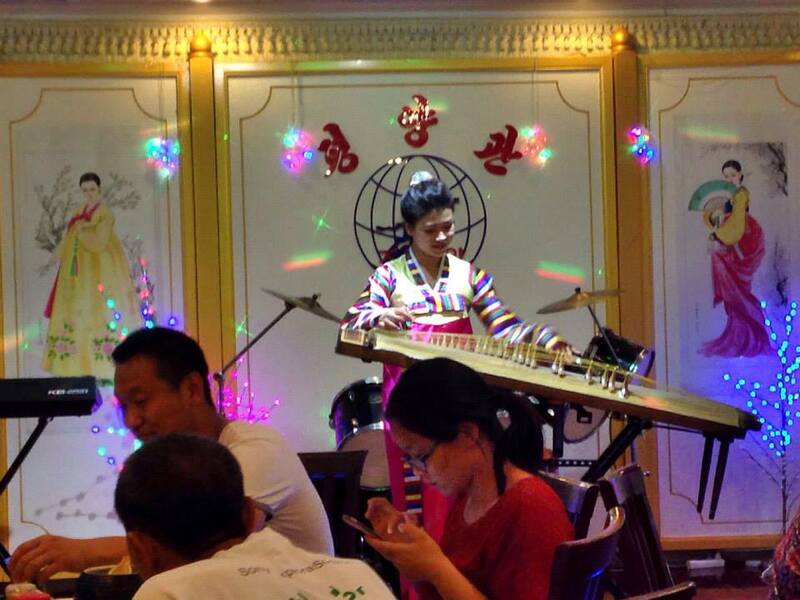 Beijing is home to an actual North Korean restaurant, owned and ran by the country. It’s a surreal experience but if you’re looking for something interesting to do during your time there, it’s worth it. At 8pm every evening, the servers put on a show including singing, dancing and a four piece rock band. Just don’t go there for the food. It isn’t great. Good beer though! Nothing says summer to me than sitting outside eating barbecue in Beijing. It’s everything you know about barbecue but better. Better sauce, better side dishes, and an opportunity to sit outside and relax with a beer. The best thing to order is a load of skewers and some side dishes such as fried rice and fried noodles. The Hutongs in Qianmen are the best place to find the outdoor barbecues in summer. Beijing has a lot of parks but if you want to interact with the locals then Beihai is the place to be. The park itself is stunning and filled with pavilions, bridges and gardens. There’s an excellent lookout from the temple on the top of the hill. Lots of locals come here to exercise. 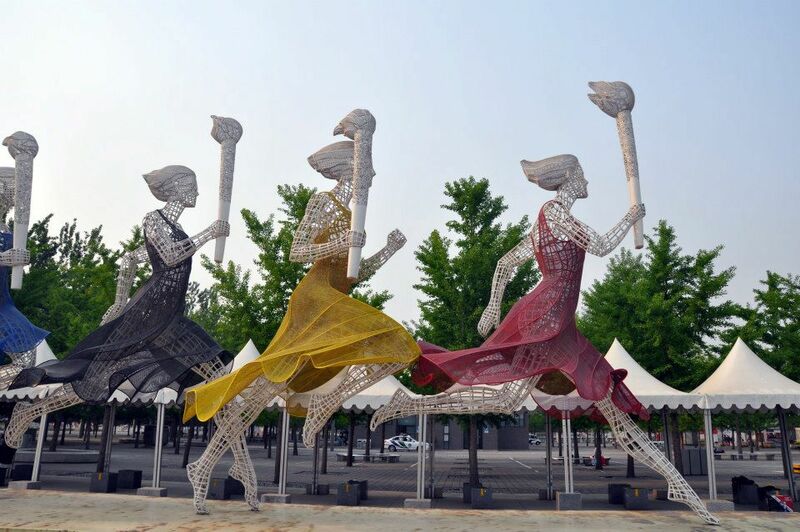 You’ll definitely see many people dancing and taking part in a group Tai-chi exercise. You’ll probably be asked to dance – don’t be shy! Where should I stay in Beijing? Budget: I always recommendLeo Hostel in Qianmen. I’ve stayed there a number of times and it’s an absolute bargain. The area downstairs is very sociable if that’s your kind of thing. 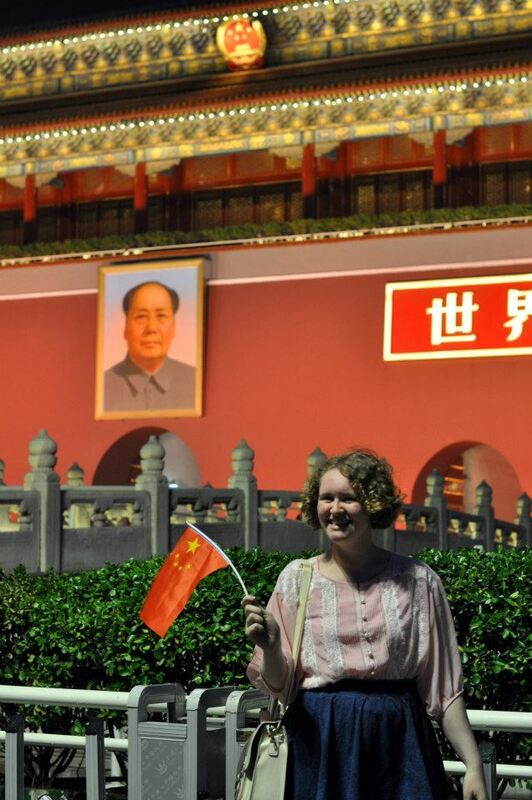 The hostel is in a great location, around a twenty minute walk from the Forbidden City. Middle range: The Crowne Plaza in Wangfujing is great value for money. The lobby has an excellent lounge in which you can get food and drink and the rooms themselves are very comfortable. I couldn’t fault the location when I stayed there. It’s right on Wanfujing pedestrian street and not too far from the Forbidden City. Top range: Bejijng NUO Forbidden City Hotel used to be the famous Raffles Hotel. I was very sad when it changed! But aside from the name change, everything seems to have stayed the same. The rooms are beautiful and the food there is absolutely delicious. The staff will do anything to make you happy (including paying for this writer’s food when she forgot her bank card. Yes I went back the following day to pay it). Beijing is well serviced by air and train. The first time I visited, I took the train from Hong Kong which took just under 24 hours. It’s a sleeper train which is definitely a very Chinese experience. Air China seem to be doing some very cheap flights to Beijing at the moment as does British Airways. I personally think British Airways’ service is better and their flights come in at more comfortable times. Have you been to Beijing? Is there anything I missed? Let me know! "Visiting Bristol University’s Wills Memorial Building"